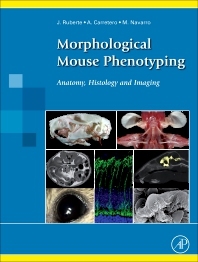 Morphological Mouse Phenotyping: Anatomy, Histology and Imaging is an atlas of explanatory diagrams and text that guides the reader through normal mouse anatomy, histology, and imaging. The book is targeted for mouse researchers and veterinarian and human pathologists, and presents a complete, integrative description of normal mouse morphology. Disease animal models are fundamental in research to improve human health. The success of using genetically engineered mice to evaluate molecular disease hypotheses has encouraged the development of massive global projects, making the mouse the most used animal disease model. Laboratory mouse populations are straining the housing capacity of pharmaceutical and biotechnology companies, as well as public research institutions. However, the scientific community lacks sufficient expertise in morphological phenotyping to effectively characterize and validate these animal models. The mouse displays fundamental morphological similarities to humans; however, a mouse is not a man.